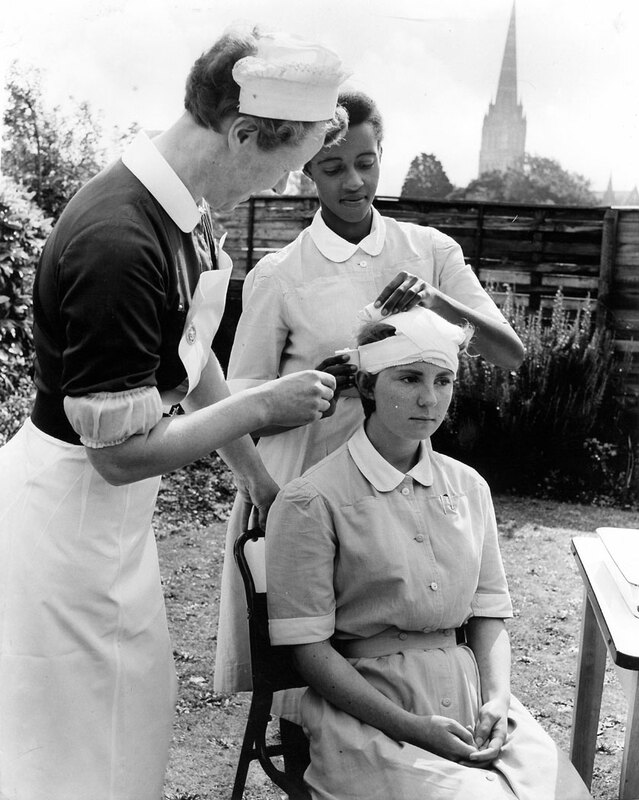 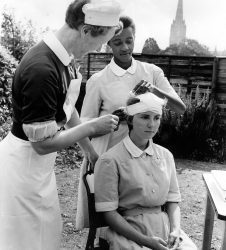 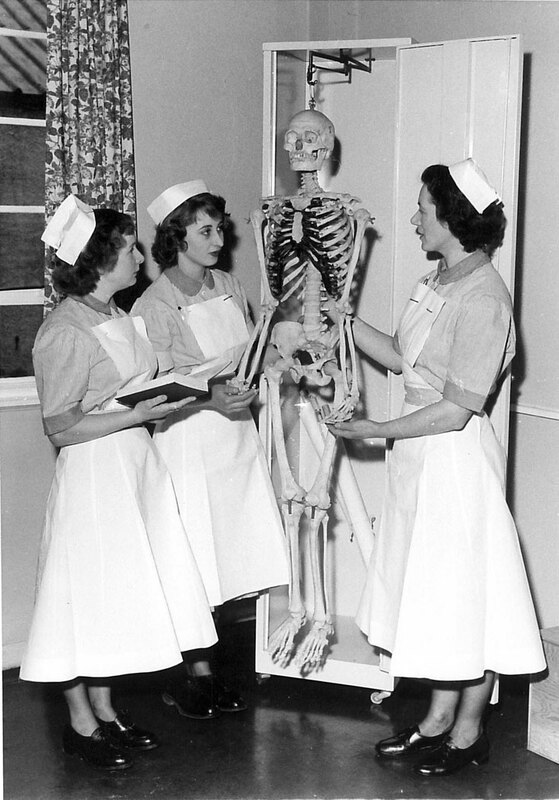 After World War 2. and at the formation of the National Health Service, there was a shortage of available nurses. 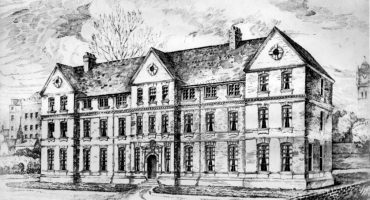 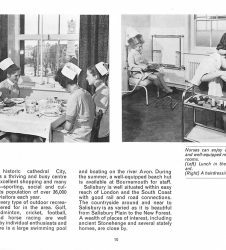 With an urgent need for a nearby location for their training, the newly formed, Salisbury District Hospital Management Committee leased New Hall in Bodenham in 1947. 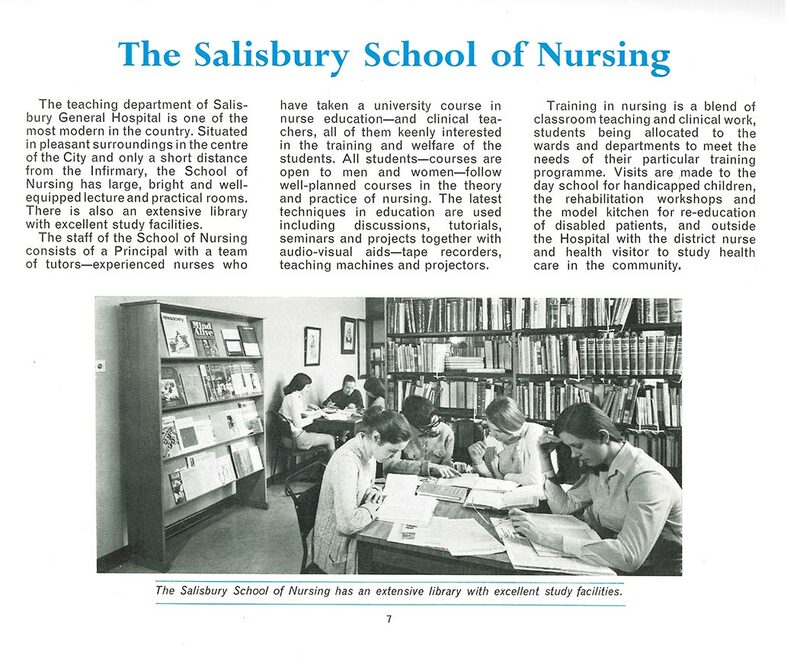 Here the Preliminary Training School for the group was soon opened. 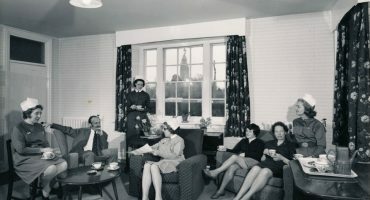 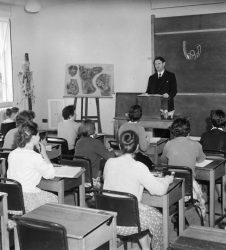 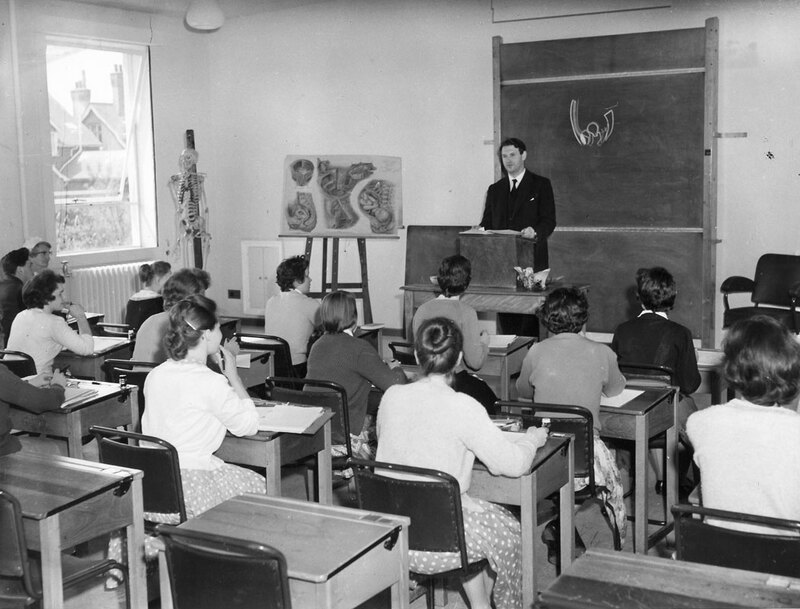 Later in 1953 Harcourt House, close to Salisbury Infirmary in Crane Bridge Road, was bought and converted into a Training School, continuing until its closure in 1992. 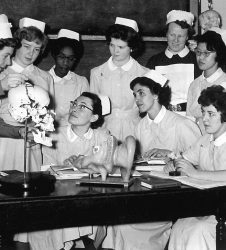 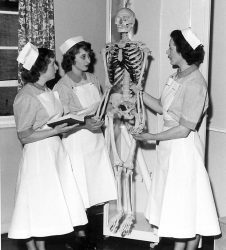 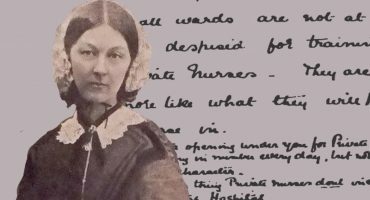 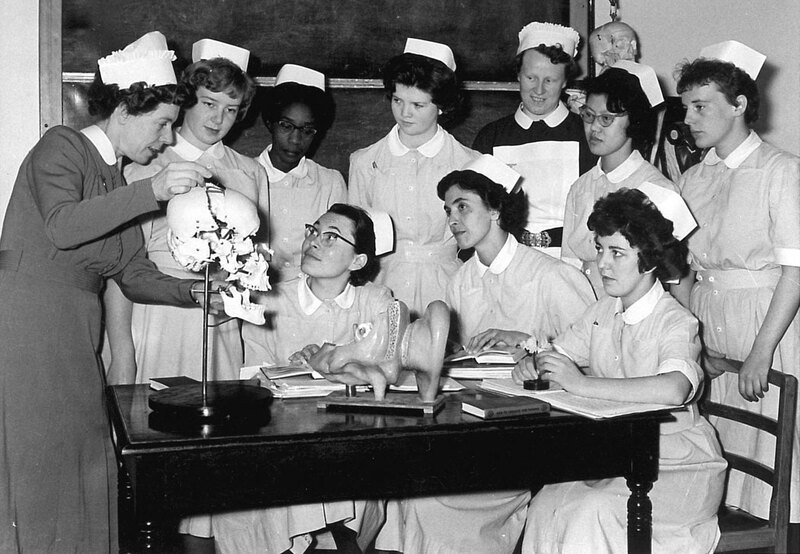 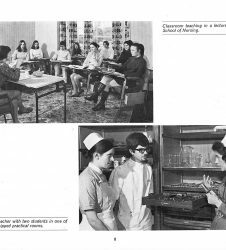 Our collection of photos below provide a glimpse of nurses in training at Harcourt House. 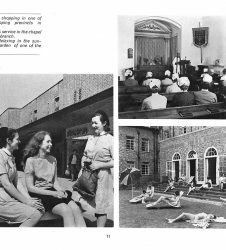 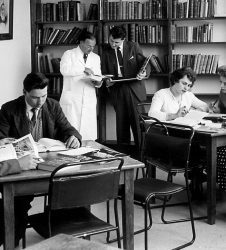 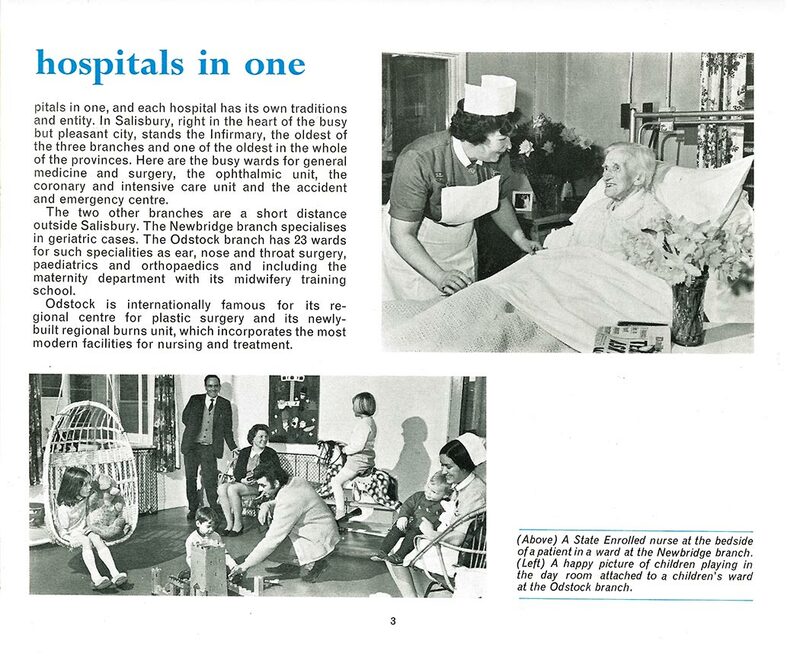 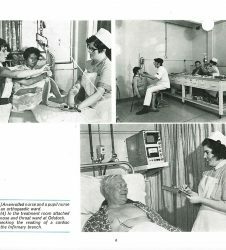 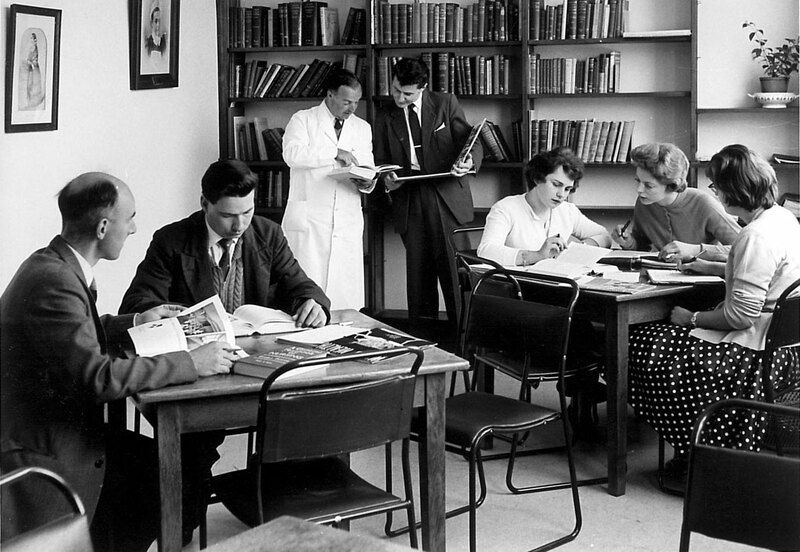 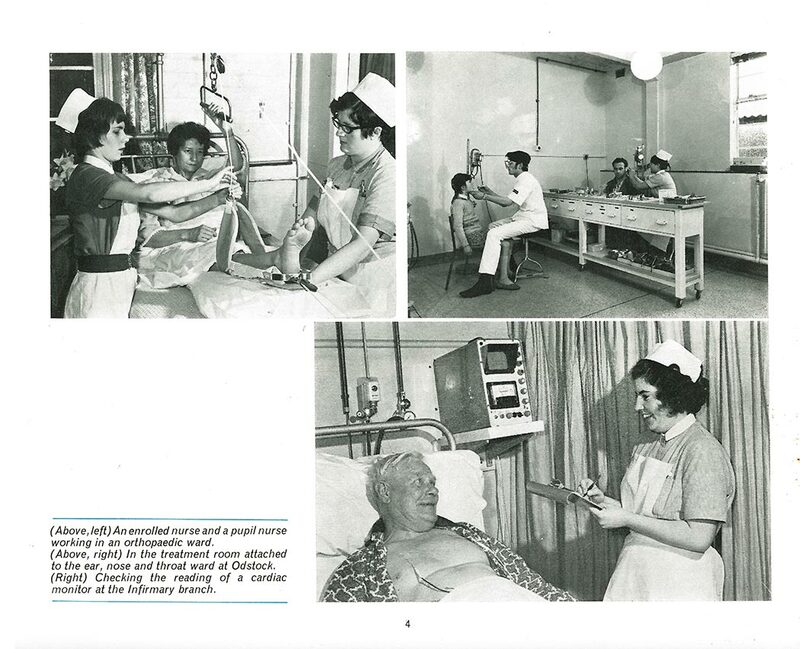 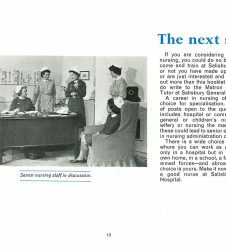 Also in our collection is a nurse recruitment leaflet from the 1960s containing black and white photographs by David Robson showing nurses on the wards, as well as relaxing outside of work. 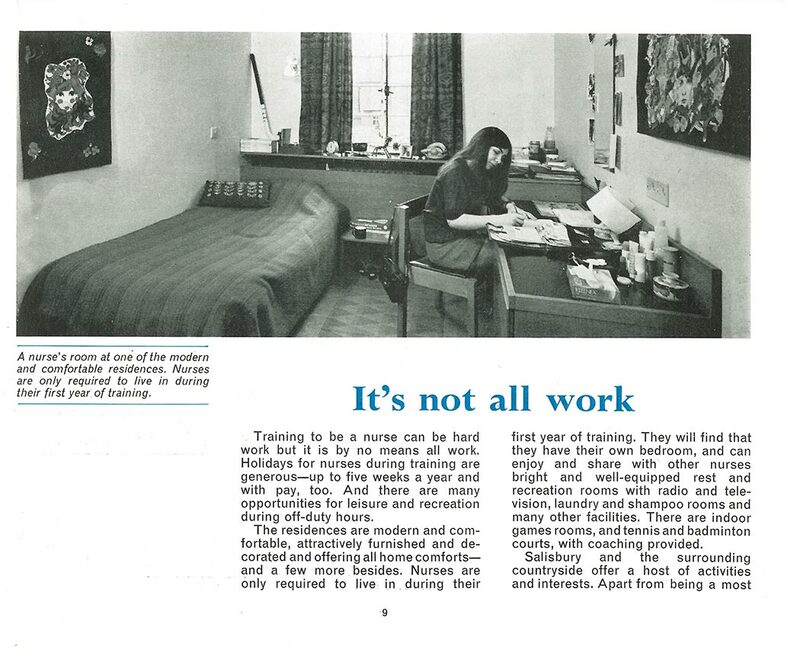 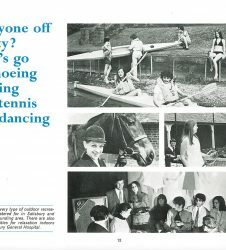 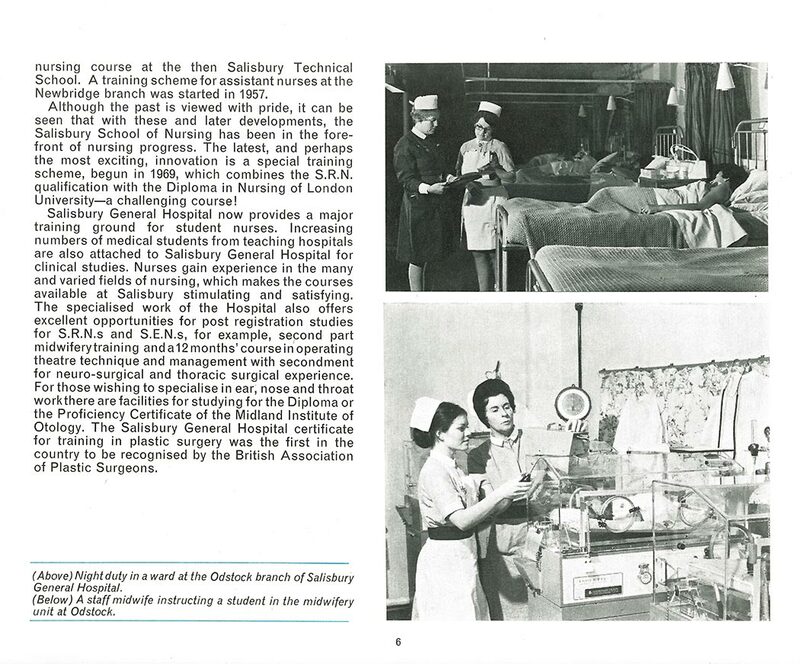 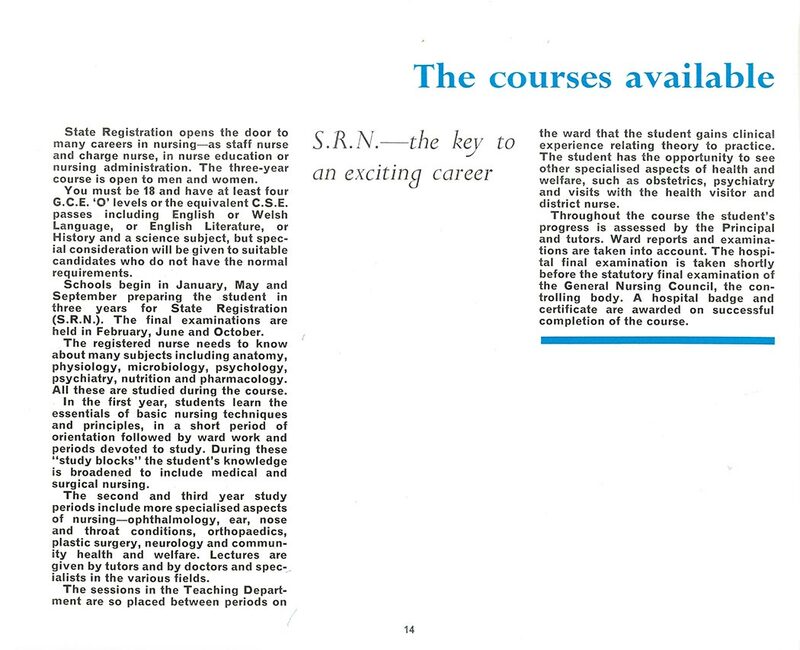 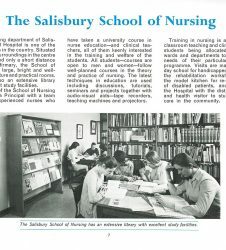 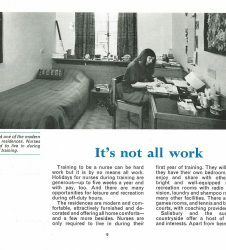 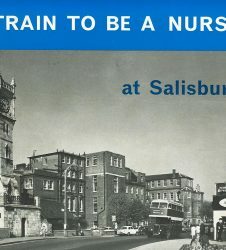 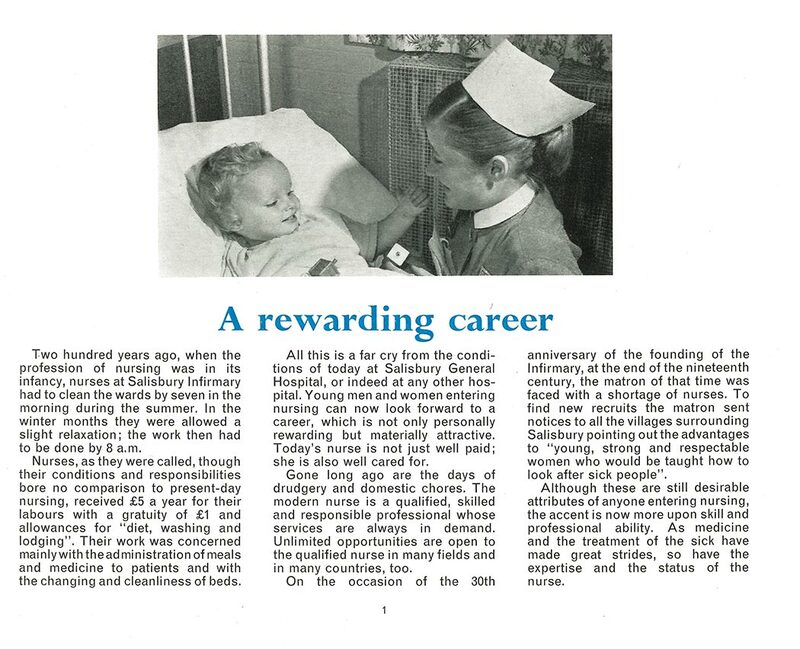 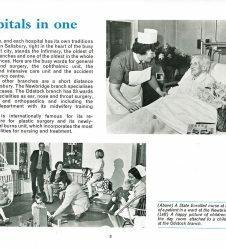 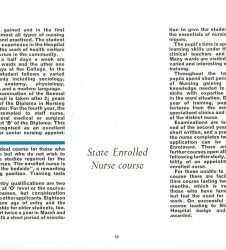 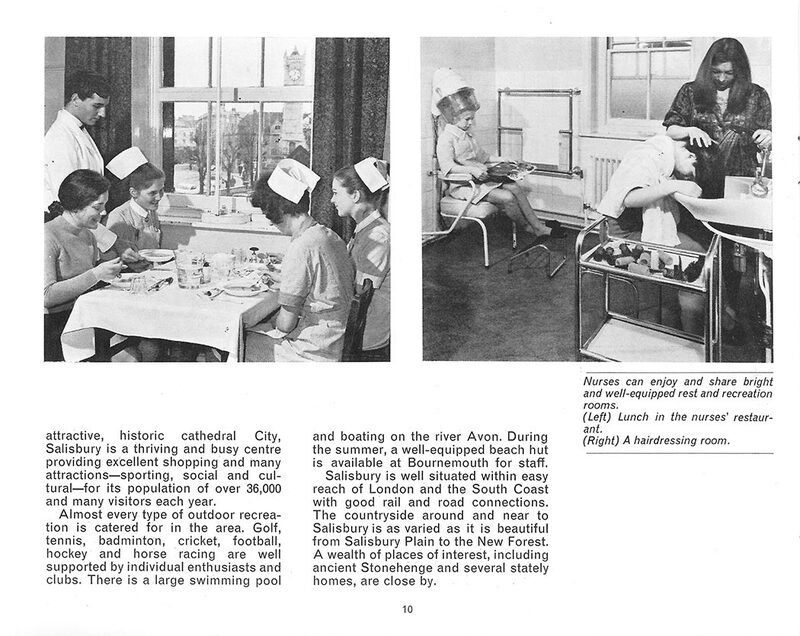 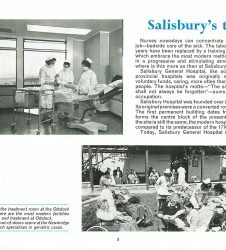 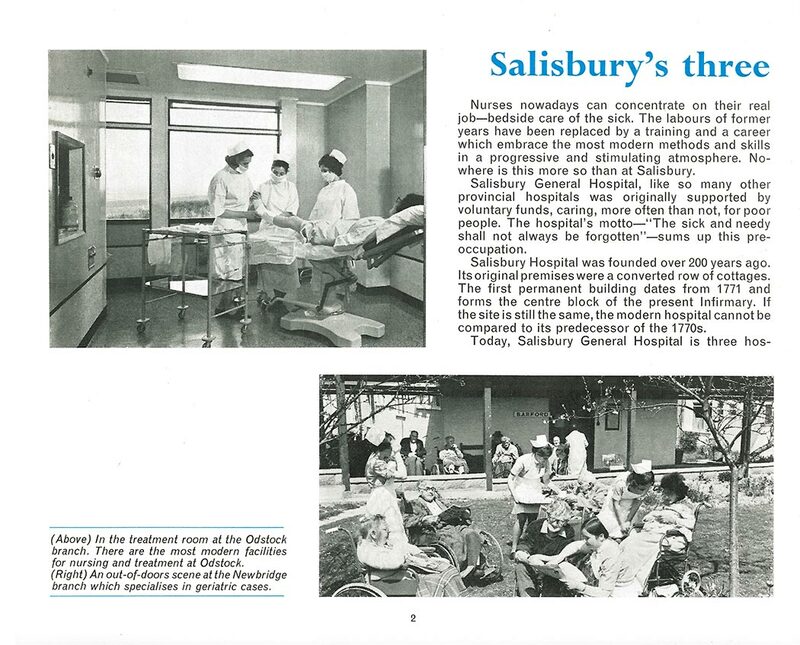 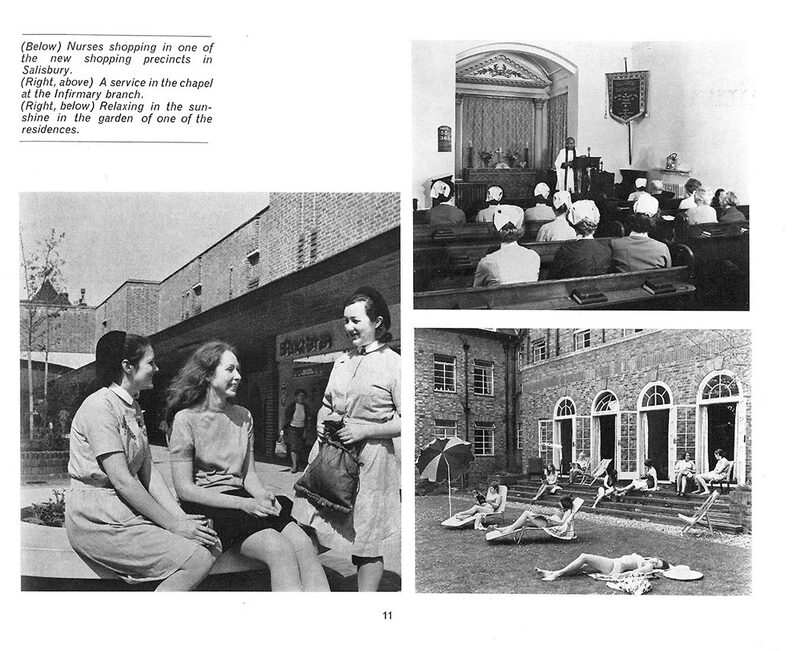 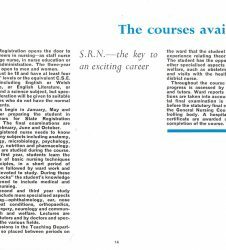 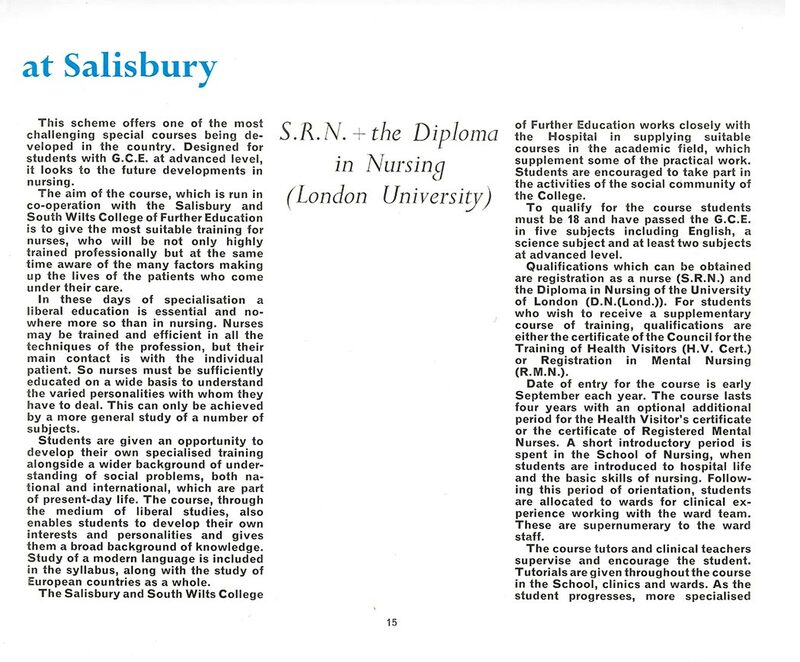 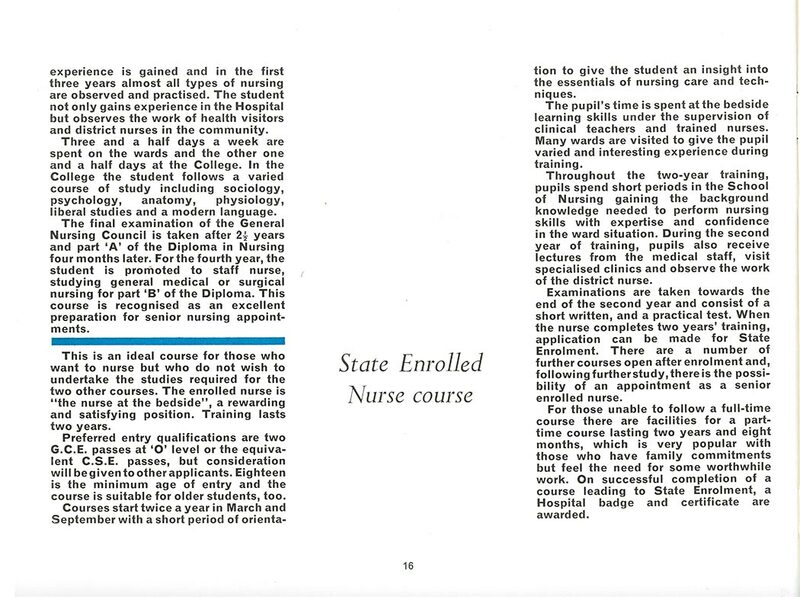 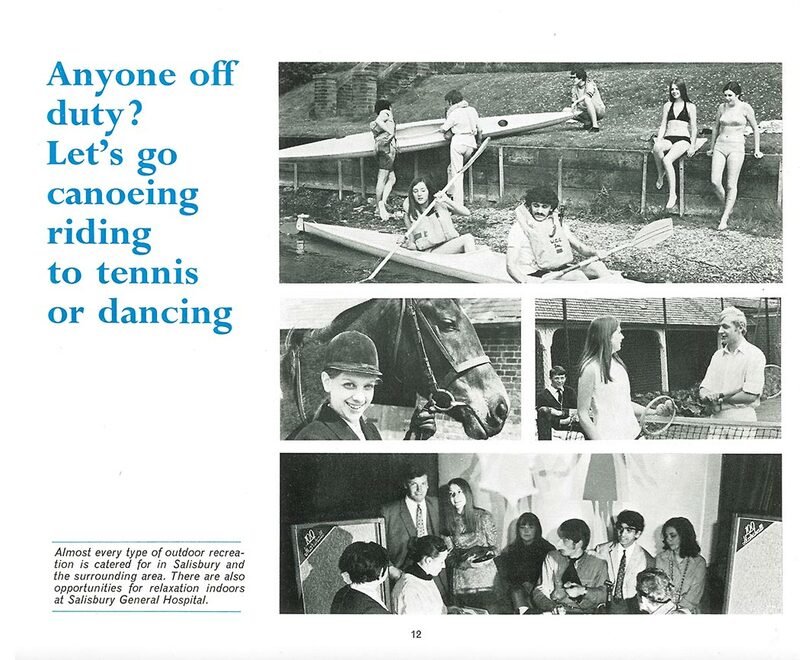 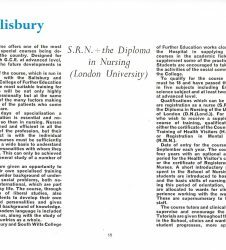 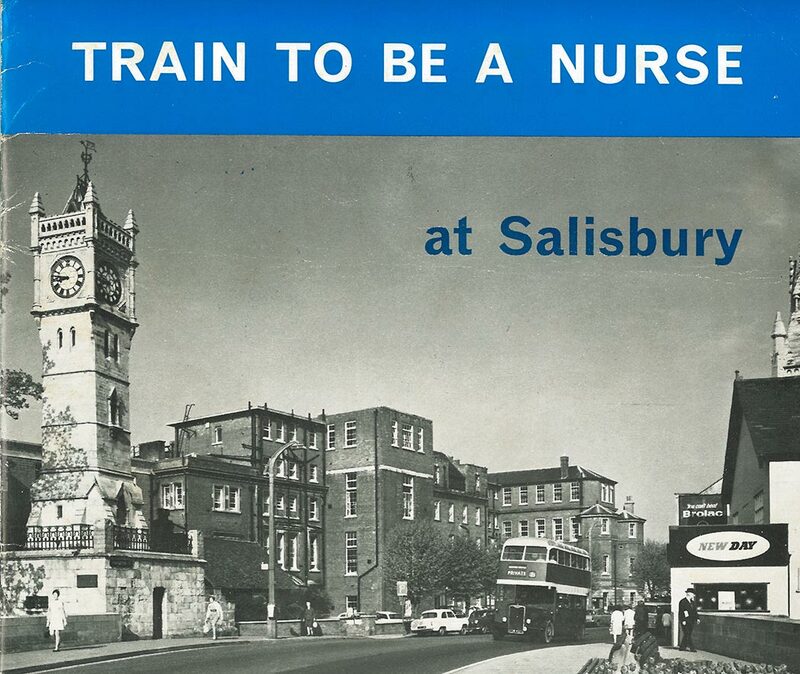 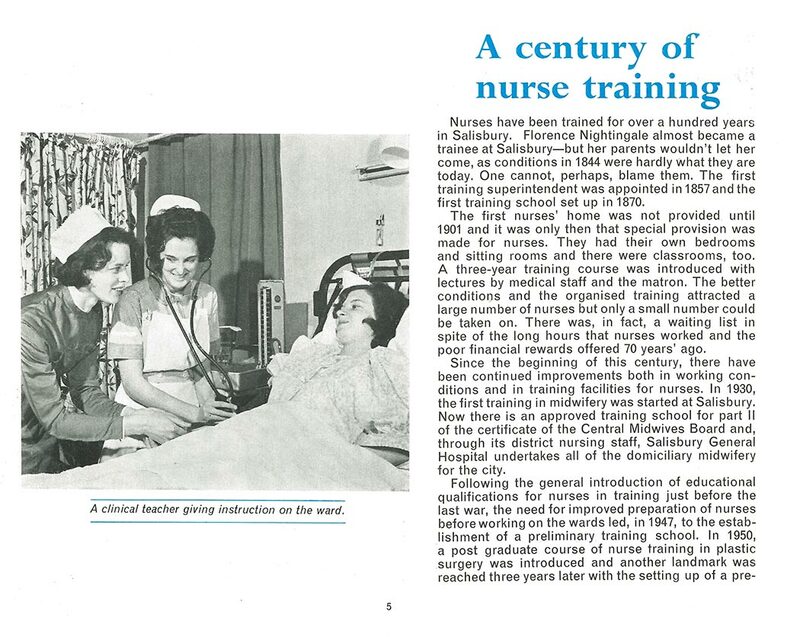 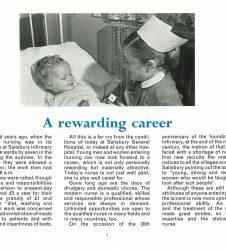 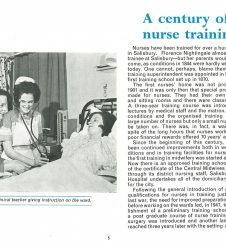 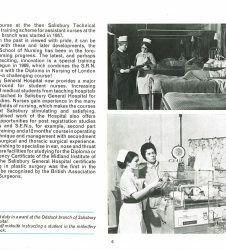 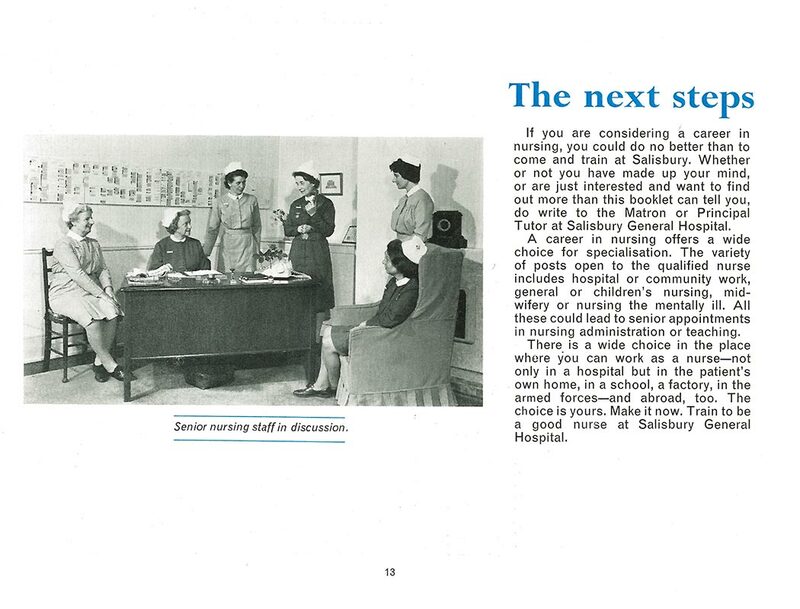 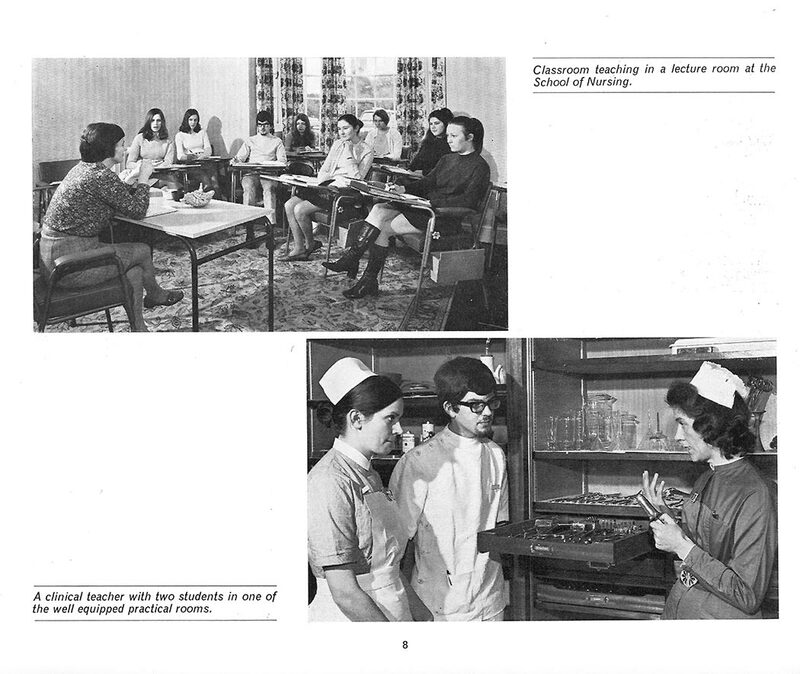 You can view ‘Train to be a nurse at Salisbury’ – recruitment leaflet from 1960s as pdf or look at the images below.